I saw Kamikaze Girls live before I listened to them on record. They played at a small show in Harrogate with Martha at an independent coffee/beer/pizza place called Major Tom's Social. It was a great gig and to this day, a one-off. The Leeds duo played songs from their 2016 EP "Sad' on the night as well as others and it's no coincidence that they've been on rise since the EP's release. Their debut album "Seafoam" was released just last month via both Big Scary Monsters and Wire Tap Records and they've just finished a 12 date co-headline UK tour with Nervus. Kamikaze Girls make the most heart-wrenching and soulful music. “Seafoam” opens with One Young Man, which contains grunge/post-punk sound alongside the tear-inducing spirit of Amy Winehouse that’s channelled through the vocals of Lucinda Livingstone (you’ll get what I mean when the first verse passes). After the melancholy of One Young Man, Berlin kicks and screams like a garage-punk song with a whole heap of 80s swagger. The layers that this duo create with their music are spellbinding and the whole production job really brings them out so they’re even clearer. Teenage Feelings is very much the song for a generation that, while being more politically active than ever, are still lost and somewhat doomed. KG take their grunge influence and use to good effect during the self-pitying Good For Nothing. The riffs and the song’s slower pace are perfect and definitely compliment the mood given off by the lyrics. They follow it up with a song that is about the UK’s sad social drinking problem (at least that’s how I translate it) called KG Go To The Pub. It’s quite stark and reminds me why I don’t ordinarily like being around drunk people. There’s no one over-arching sound going on during “Seafoam”. Lights & Sounds is like a weird mix of Disco without the electronica and The Lightning Seeds (again another one of my strange interpretations, sorry). Needless to say, it’s great. I shared the video for Deathcap on here a while ago and I can’t stop listening to the song. It sums up KG’s catchy and sincere song-writing for me. Weaker Than is a testament to the breadth of the UK’s alternative music scene. It’s emotional and minimal in approach but it shows that Kamikaze Girls are destined for much bigger things. The same can be said for the whole record really. Penultimate song Unhealthy Love is full of genuine feeling, with a chorus that will mean something to every listener who hears it. Despite the sad overtones throughout “Seafoam” it’s actually very uplifting. I Don’t Want To Be Sad Forever is a perfect example of that last statement. It’s a reminder to us all that we need to be better people, that we need to make our society better and that we need to help each other, now more than ever. 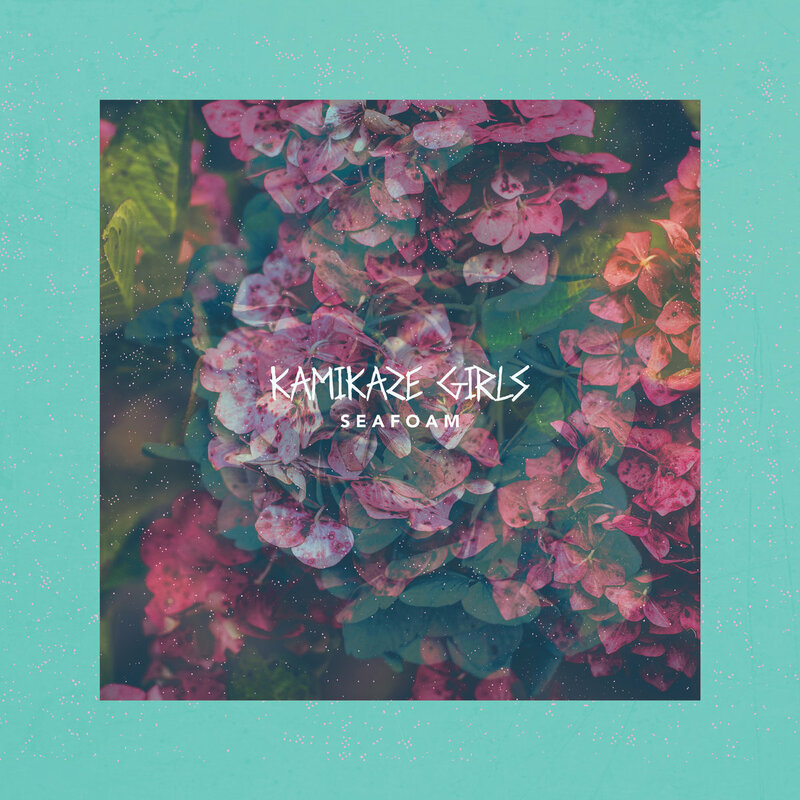 Kamikaze Girls are not just relevant but essential. Lay It On The Line/Arizona - Split 7"